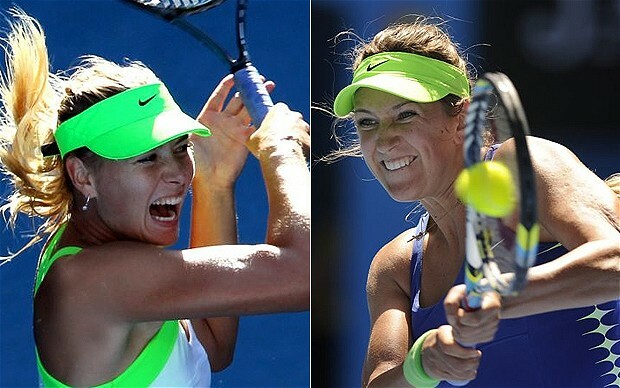 Victoria Azarenka and Maria Sharapova will clash in the women's Finals of Australian Open today in the Rod Laver Arena. Azarena, who is finally in her first Grand Slam final after 25 GS tournaments. On the other hand her opponent has played five Grand Slam finals, winning three of them. If Azarenka wins the final, she would be only the third player to rise to the top ranking after her first Grand Slam win. Martina Navratilova rose to No. 1 for the first time after winning Wimbledon in 1978, while Ana Ivanovic did the same after winning the 2008 French Open. Whereas victory for Sharapova will get her fourth Grand Slam.